case finished in (20) weeks. Case finished in ( 48 ) weeks. Case finished in ( 17 ) weeks. Surgical extraction for angulated wisdoms. Same visit with local anesthesia. Case finished in 2 hours. Gum reshaped surgically in 30 minutes with local anesthesia. Result after two (2) weeks. 8 units Lumineers, no injections or trimming. Plasma Power Teeth Whitening in 40mins. 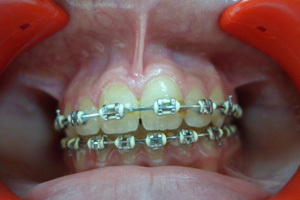 Used tooth colored Teeth Bonding to close the spaces.